Public plazas and seating areas where people can meet, enjoy a bite, read a book or just relax, make downtown more a more interesting and inviting place. 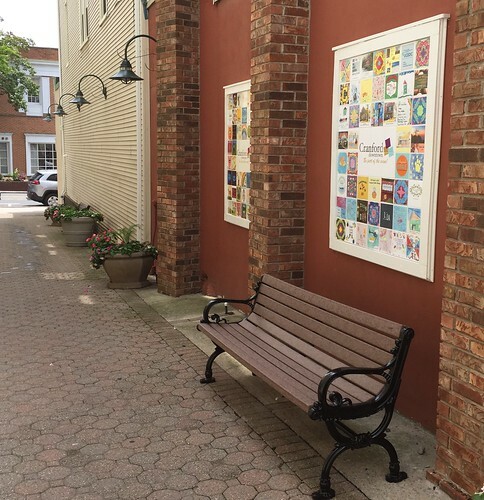 Cranford is fortunate to have Eastman Plaza, the Gazebo at Mayor’s Park, sidewalk seating and some new additions like the Parklet on Eastman Street and the pedestrian walkway next to Simply Art and Framing. 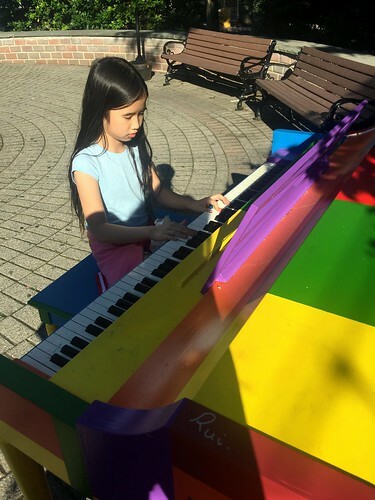 We’ve added things like a public piano and giant sidewalk games at some locations to encourage people of all ages to come downtown and have fun. 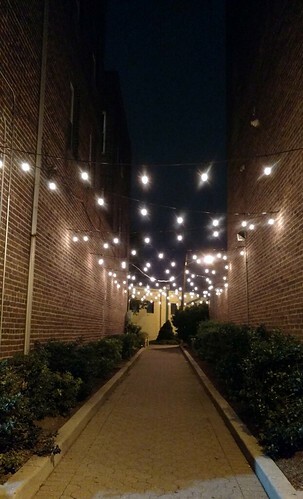 This Friday night, Alluem Yoga will hold the 5th Annual Rock Yoga on Eastman and Miln Streets, near the Post Office. The popular event draws over 200 yoga enthusiasts and lots of onlookers. 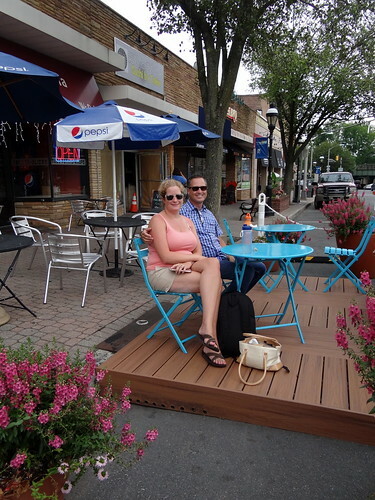 A successful downtown is constantly changing and growing, while also appealing to people of all ages. With help and support from Deputy Mayor Pat Giblin, a progressive and creative DMC Board, business community and residents, we have been able to make improvements, introduce new projects and look forward to doing even more in the near future. So, head downtown and follow the words on our new banners: Shop, Walk, Dine, Sit, Chat, Enjoy.